Strong adjustable Barrier and Semi-Barrier Seals. Price quoted is for a single unit. Supplied in cartons of 200pcs. If you require this product in lower quantity than the carton quantity indicated, please contact us directly. The Cable Locks are user-friendly and highly tamper-evident. 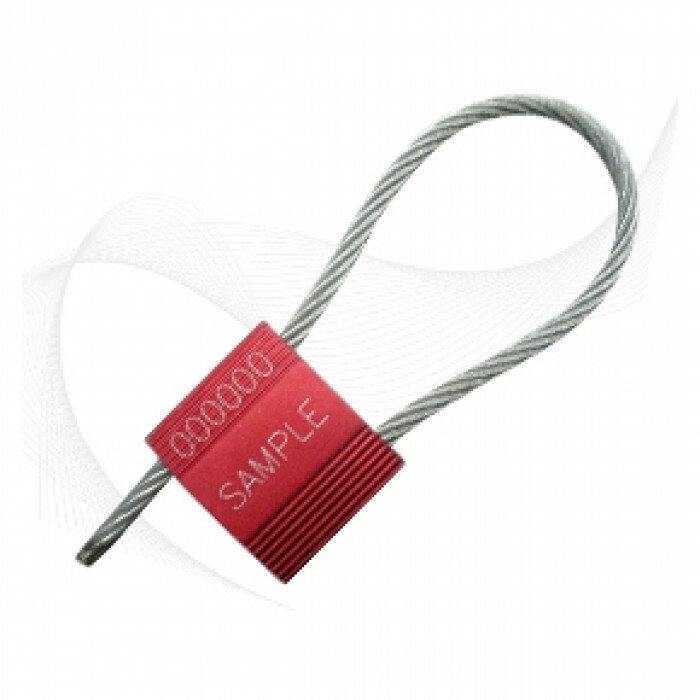 They are available with different cable diameters to secure various applications with different security requirements. The seals are secured once the wire passes through the one-way locking mechanism. It must be adjusted to fit tightly to the application to maximize security and prevent tampering. 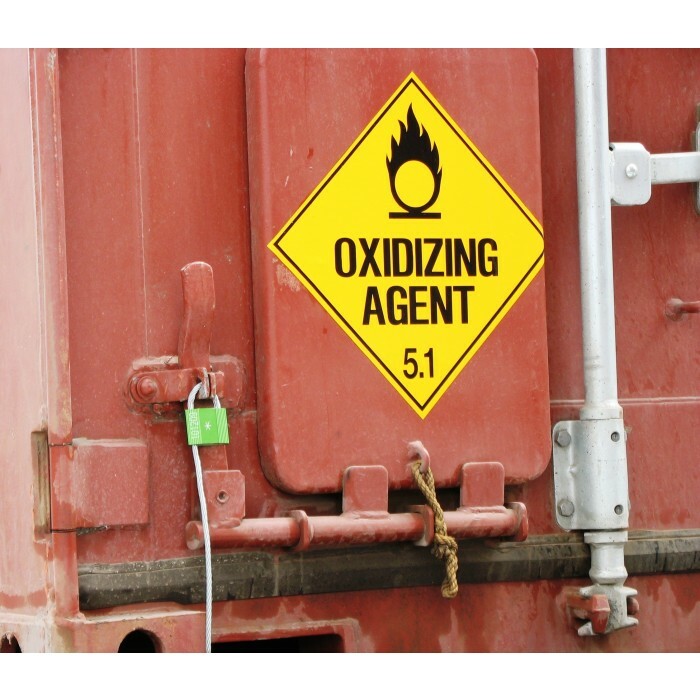 Our Cable Locks seals are widely used on trucks, tanker trucks, and air cargo containers, shipping containers, rail cars calibrators and valves across various industries. 1. The body is designed with a rib pattern, which protects markings during rough handling. 2. 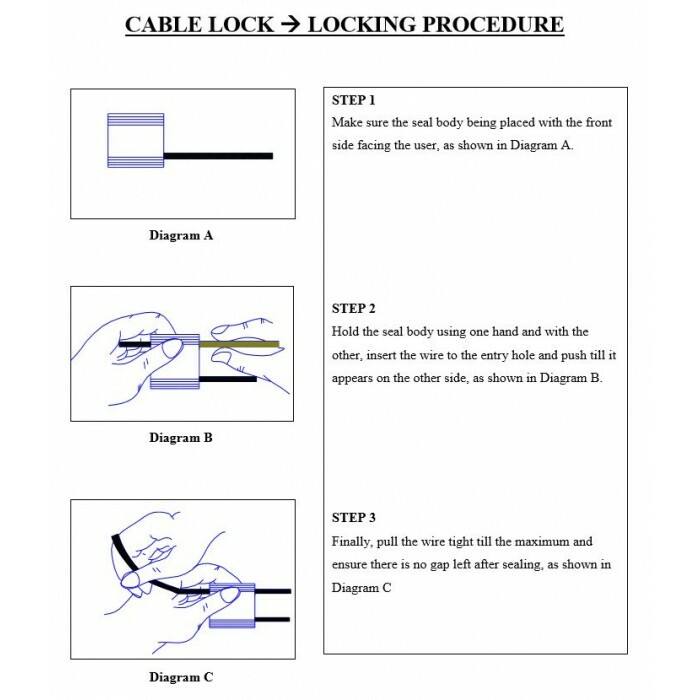 The Cable Lock’s one-way locking mechanism provides fast and easy sealing. 3. One end of the cable is permanently secured into the locking body. 4. The Cable Lock is anodized in solid colours, which accommodates customized laser marking. Anodizing also makes colour coding possible and eases identification from a distance. 5. All Cable Locks are etched with permanent laser marking. Laser marking offers the highest level of security as it cannot be removed and replaced. Strong adjustable Barrier and Semi-Barrier Seals. Price quoted is for a single unit. Supplied in boxes of 500pcs. Economical pull tight cable seal that can be tightened to fit any application. Price quoted is for a single unit. Supplied in boxes of 500pcs. Unmatched protection against picking, this 3rd generation cable seal features a non-linear lock body design that prevents shim attacks. Price quoted is for a single unit. Supplied in boxes of 500pcs. Economical pull tight cable seal that can be tightened to fit any application. Price quoted is for a single unit. Supplied in cartons of 500pcs.